How do we get funding for promoting Steem? $20,000+ a day is available on Steem for projects intended to help Steem grow including building apps, hosting meetups, publishing guides, pitching smart media tokens, creating communities, and whatever else we think of! The question is how do we participate? Using the ten methods below, each of us can get the funding we need to help with building our community here on Steem! We begin with a quick look at the 10 methods and then take an in depth look at our updated budget proposal system which has paid out $100,000+ worth of Steem/SBD to projects and delegators in the last two months! Note that while we talk a lot about money here because this is what many of us want to know about and are struggling with, the key to everything is our outlook on the world especially in seeing the big picture of why we contribute and giving back without an immediate demand for payment. How to Fund a Steem Growth Project? Author rewards from upvotes on the #steemit tag are the simple way to get started and can payout thousands of dollars within a week from the initial post. While most of us can expect little in rewards just from making one post without any previous history or following, many projects on Steem have been funded already completely with author rewards. @dlive was successfully launched just by using the #steemit tag with no previous history or following. Method #1 is funded by author rewards on Steem with the total amount being equal to about 63% of new Steem and SBD created according to https://steemdb.com/ by @jesta. Add the tag #promo-steem and/or a variation by country to help those with voting power find projects promoting Steem. For example, promo-uk, teamaustralia, etc. These tags help for a more local connection to curators and greatly increases the odds of getting noticed for a newer author. Method #2 is funded by upvotes from curators with millions of dollars of Steem power checking this tag. The @minnowsupport project at http://minnowsupportproject.org/ consistently helps members in Discord to collaborate on upvotes and get feedback which can be more important for improving a project than money. @aggroed and @ausbitbank founded this project which today has helped thousands of authors earn upvotes on hundreds of thousands of posts! To participate, join the @minnowsupport discord channel. Method #3 is funded by delegations providing more voting power for upvotes. @utopian-io at https://utopian.io is a platform by @elear focused on open-source contributions that can be very helpful for earning rewards and gaining visibility on existing projects. Method #4 is funded by delegations. @dsound at https://dsound.audio by @prc gives us a place to upload audio files to Steem especially music and podcasts. Explaining the idea in a podcast might be a lot easier than trying to film a video and more effective than just writing a post especially when combined with the #promo-steem tags. Method #5 is funded by a delegation from Steemit Inc.
@dtube at https://d.tube by @heimindanger allows any of us able to film and upload videos to explain a project and get initial funding through upvotes by @dtube and by top curators like @thejohalfiles. Method #6 is funded by a delegation from Steemit Inc and @dtube curators. @dlive at https://www.dlive.io/ allows any of us to live stream with Steem giving us the chance to earn an upvote by @dlive and engage directly with viewers on Steem making comments! Method #7 is funded by a delegation from Steemit Inc and @dlive curators. The Crowdfunded marketing protocol is Steemit Inc's official funding mechanism for projects on Steem. @andrarchy launched this a few months ago and at least one project received $10,000 in funding. While this method theoretically has the highest amount of money available, it is also very challenging to successfully complete. Method #8 is funded by direct payments from Steemit Inc. Witness rewards from https://steemit.com/~witnesses are a primary source of funding for existing applications on Steem with the top 20 witnesses earning collectively 5,000+ Steem power a day while the remaining 100 or so witnesses collectively earn about 1,000 Steem power a day. 95% of witnesses in the top 20 joined Steem in 2016 meaning that witness rewards generally are not a practical choice to fund new projects today on Steem outside of a direct collaboration with a top witness. For those intending to do Steem full time indefinitely like me, being a #witness may be an ideal long term opportunity for service! Method #9 is funded by witness block production rewards which come directly from the Steem blockchain on each new block created every 3 seconds. Our Steem budget proposal system intends to fill the gaps in our current funding structures by making larger amounts of immediate funding available to our most needed growth projects! We have paid out about $50,000 to fund projects in the first two months since launching and have about $30,000 more ready to go! The rest of this post explains how to get started earning payments from the @budgets account I manage which currently has about 7,000 Steem available to fund projects and receives about 300 more Steem daily. @budgets is funded by my voting bot as explained further in the funding section below! How to Start Earning with the Budget Proposal System? Hundreds of authors on Steem have already earned thousands of Steem/SBD in upvote bids to bots sent from @budgets by participating in contests, submitting initial proposal ideas, and writing posts that help add to the value of Steem. The easiest way to start earning is to use the tags #promo-steem, #steemit, and #jerrybanfield on posts you want me to read and send upvote bids for. I browse these posts in order of trending meaning I see the newest posts with the most upvotes first. Our funding limit for upvote bids is 100 Steem and/or SBD to support projects getting started and developing. For direct payments of 100+ Steem, we now have new requirements intended to focus on the best projects with the most need and support. This helps those of us with ideas to avoid the huge time commitment of making a new idea with a huge budget only to then face the disappointment of not receiving funding. How to Make a Steem Budget Proposal for 100+ Steem! Earn a reputation of at least 58 OR have a user with a reputation of 58+ submit the project on your behalf because we are funding projects by those of us making a consistent effort on Steem with proven service to our community. For help building a reputation to 58 and/or finding a user with a reputation of 58+ to submit the project, see @minnowsupport, @curie, @ocd by @acid-yo, @adsactly, @busy.org, @teamsteem, http://steemspeak.com by @fyrstikken, @cervantes for the Spanish community, @clayop for the Korean community, @roxane and @transisto for French, @eco-train by @eco-alex, and hundreds more top curators and community leaders here helping new users that are making valuable contributions get recognized and upvoted every day. While I realize a reputation of 58 does not guarantee a project is worthy of funding, it is a good starting point. Discover similar projects and find ways to collaborate. Giving to an existing project is much easier than starting something new. Many of us take offense when working on an existing project and we see a new project being proposed that is nearly identical. For example, many budget proposals have tried to start new curation communities. We are not funding any of these because we already have millions of Steem power funding outstanding curation projects that consistently upvote the best posts especially by lower reputation authors. When a clear gap in what exists is identified or a huge limitation can be solved simply with funding, then a budget proposal is appropriate. Begin with the smallest amount of funding possible on the very next step of a project. For example, host an initial meetup with a low cost before asking for $2,500 to host a meetup where thousands of people are projected to attend. When building an app or website, start with minimal costs like 100 Steem for domain and hosting followed by repeated proposals for more funding instead of asking for 5,000 Steem with nothing built yet and including an advertising budget in the proposal for a website that does not exist. This allows the project leader to get positive reinforcement to go forward with a small amount of funding while allowing us as a community to build relationships and give the most to those that have already gotten proven results. Draft a post with answers the following questions: Who is participating? What has been done on a project already? What is being done today? How does the project add value to Steem? How much funding is requested in Steem, SBD, and/or USD? Where the funding will go? What is the smallest amount we can start with to fund? Make a post with tags #promo-steem, #steemit, #proposals, and #jerrybanfield because this will help the most of us discover it and provide initial funding with author rewards. Whenever possible, combine this with using an app like @dtube, @dsound, or @dlive to add more than text to a post because this helps us get to know you better and each of these apps have upvoting power as well although the tags may need to be edited on steemit.com to match the four requested here plus a tag from the app. Work on getting upvotes for the post because this will help us see it. I check posts in order of trending on #jerrybanfield first along with #promo-steem, #proposals, and #steemit. Voting bots from https://steembottracker.com/ can be helpful for this and demonstrate an investment in the proposal. In addition to the upvotes on a post, I often look at exactly who upvoted the post. When I see upvotes from anyone tagged in this post, the odds of funding are much higher. Answer questions in the comments to help respond to feedback and add clarity to the proposal. Join the projects listed below which received funding directly from @budgets! In 2 Months We Funded $50,000+ in Steem Growth Projects! What projects have we collaborated to fund so far on Steem? Here is the list of the Steem projects funded for 100+ Steem with the hundreds of smaller contributions aggregated into larger entries ordered from least to most total funding. 300.539 Steem sent to @pegarissimo as explained at https://steemit.com/budget/@pegarissimo/proposal-quickly-and-easily-add-a-creative-ccommon-attribution-international-license-watermark-for-sharing. 300+ Steem sent to authors and curators for our top 25 Steem posts at https://steemit.com/budget/@jerrybanfield/the-top-25-steem-posts. 500 Steem to @steem-plus as explained at https://steemit.com/budget/@steem-plus/steemplus-budget-proposal-feb-2018. 1,000 Steem sent to @jo3potato as the project manager of a new development team building a P2P Steem/USD Gateway application with no escrow as explained at https://steemit.com/budget/@jerrybanfield/hiring-1-developer-to-build-a-p2p-steem-usd-gateway. We will also be funding an additional development team to build another peer to peer gateway for Steem/USD that does use an escrow and a third development team to build Steem/USD directly into an existing exchange which will allow transfers directly through bank deposits. Among the three of these teams, at least one will finish an outstanding Steem/USD gateway that is complimentary to existing gateways like @bittrex and @blocktrades which are both working on adding USD. Our primary reason for making these gateways is to help users WORLDWIDE change cryptocurrencies with fiat. We are very aware of the applicable laws in the USA and the need to research the law in every country. We have access to several attorneys willing to assist with this and will fund additional documentation and education directly here with contests. We have user safety and experience as our top priority and consider this in every development decision as the most important factor to look at. ~2,000 Steem/SBD to upvoting bots promoting posts by hundreds of authors contributing to building Steem and launching early projects. 2526.391 Steem and 1386.177 SBD sent back to me to pay for advertising on Google, Facebook, and YouTube for Steem as shown at http://jerry.tips/steemads. The advertising funding promotes many different authors, applications, and videos on the Steem blockchain. While I am featured in the majority of the ads currently, I building system now to change that where soon the majority of the ad impressions will instead go directly to our best posts on steemit.com, busy.org, d.tube, dsound.audio, etc. We are already showing hundreds of thousands of ads every week going to posts not written by me and I intend to increase this as my remarketing list grows. Where Does The Budget Proposal Money Come From? Thousands of us are collaborating to make this possible by the bidding bot that runs on my account as seen at https://steembottracker.com/ with @jerrybanfield. The bids received by @jerrybanfield for at least 1 Steem or SBD with a post link in the memo are then upvoted every two and a half hours by my voting bot. Many of us send a bid on all of our new posts while others check the bot tracker website for the best deal and time to bid. Delegations to my account @jerrybanfield increase the power of the voting bot which increases the amount of bids possible providing a return for delegators and more funding for projects. Delegating Steem power with the tool at http://jerry.tips/spdelegate as explained in my tutorial "How and Why Delegate Steem Power" at https://steemit.com/steem/@jerrybanfield/65wju0wr returns automatic daily payments in Steem and SBD based on the amount delegated. Currently every 1,000 Steem power delegated returns about 1 Steem a day when the SBD are converted to Steem. Over a year, this is equal to about 36% APR return for delegators with a minimum delegation of 20 Steem power currently. Thank you very much to the top delegators whose contributions provide the majority of funding: @freedom, @livingfree, @fenghuang, @laurabanfield, @mastermel, @neworleans, @jasonclay, @joeparys, @jefflutz62, and @sc5tt. Every day the bids are divided in half with those contributing Steem power collectively getting half of the bids and the budget proposals getting the other half via @budgets. The half that @budgets receives from the voting bot and delegators is what funds the projects on Steem supported under our budget proposal system here! The easiest critique of this system is based on the belief of selfishness whereby one suggests I am just funding my own projects or that delegating to other bots pays more. If selfish objectives were my primary goal, I would simply use my account as a voting bot without any delegators on the 107,000+ Steem power I have today. The voting bot on my own Steem power would pay me $500 to $1,000 a day at the current Steem and SBD prices every single day in passive income. I could literally forget about Steem and come back to $20,000 in Steem and SBD in my account in a month without touching the principle. If my primary aim was to make money for myself without considering anyone else and just fund my own ads and projects, I would not bother with all the work it takes to maintain the system I have explained here which makes me less money and takes much more time than just running my own voting bot would. This same response covers just delegating to voting bots with higher payouts. We maximize our return on investment by getting a payout for ourselves AND helping increase the value of Steem by funding the best growth projects. If all of us just take a payout for ourselves without considering what this does to the whole and without adding any value while depending on others buying in to fund our cashing out, Steem becomes a ponzi scheme and is worthless. What makes Steem amazing as it is today is our ability to create value from nothing and give back to those that have no money to buy in. No other blockchain gives as much to those that did not buy in which is why we will be #1 soon. Funding growth projects through this budget proposal system helps to add value to our entire community which is very likely to increase the price. Our budget proposal system is able to give all of us what we need/want in the form of a good return on investment whether we are delegating or putting our time into projects. When we all get what we want and keep building a community that makes a massive contribution to the world, the price of Steem will naturally go higher and higher which is where we have the greatest chance to get our largest return financially and spiritually as Steem eliminates exploitative business models, unnecessary institutions, misinformation campaigns, and global oppression. We have the chance to make a world we would love to come back to anywhere here on Steem which is my primary purpose in life. I work each day on making a world where I would find joy in being reborn ANYWHERE with no memory of what this body contributed. I am exclusive with Steem meaning I do not invest or promote any other cryptocurrencies despite the high probability that I could make a lot of money if I did. I am all in with Steem and everything I do comes back to Steem every day. What helps me do Steem full time is being a witness for our blockchain which is similar to the function of being a miner on another blockchain. Our witness votes at https://steemit.com/~witnesses are the most important we make on Steem because witnesses literally are producing our blockchain the way miners do in other cryptocurrencies. The top 20 witnesses choose which version of Steem we run which allows witnesses to decide what updates we accept and reject from Steemit Inc.
Our budget proposal system here brings together my primary contributions on Steem along with maintaining my witness servers, posting, and resteeming. Top witness @someguy123 helps me maintain my servers while I also log in and am able to handle most issues myself after learning the basics of Ubuntu Linux last year. I am grateful my servers have only missed 7 blocks since July 2017 and that 5,354 of us have voted for me as a witness at https://steemit.com/~witnesses with just 11 witnesses having more accounts voting. For those of us never having made a witness vote, setting a proxy is the ideal solution because it takes just one minute and makes a huge difference in our future here with Steem. 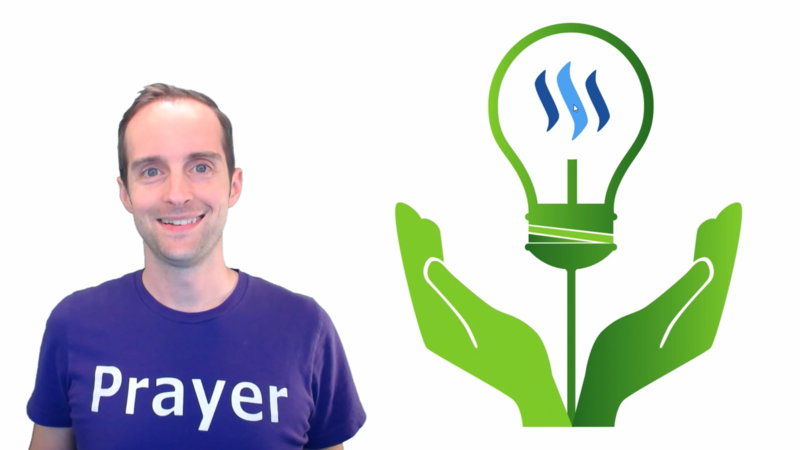 I am grateful for the hundreds of thousands of Steem power proxied to me at https://steemit.com/~witnesses which motivates me to consistently monitor and update my witness votes each week with the intent to do the most good. Will you please help grow Steem with me today by doing whatever you can from the list below because that will help us build the world we dream of together here? Each of the following listed below helps sustain this budget proposal system and helps me represent our vision for the future on Steem together? Will we upvote this post because all SBD earned on this post will be sent back to @budgets and help more of us see it? Will we vote for me as a witness or set me as a proxy at https://steemit.com/~witnesses because every witness vote and proxy helps increase the bot's voting power and helps me speak on our behalf in the changes we accept going forward on Steem? Setting me as a proxy helps about ten times as much as a witness vote for me because having me as a proxy also votes for every witness I am voting for. Will we delegate Steem power using http://jerry.tips/spdelegate because we will receive automatic payments back every day equal to about 0.1% of what we delegate AND we will be funding growth projects every day? For help doing this, see the tutorial at https://steemit.com/steem/@jerrybanfield/65wju0wr. Will we make posts using the #steemit, #promo-steem, and #jerrybanfield tags because this will help me fund the projects with payments from @budgets? Will we tell our friends and family about Steem because billions of us are creating a lot of value for companies that are not returning any of it and then forcing us to see ads for products that often hurt us more than helping? Steem is the better way we are fortune enough to be one of the first to experience? Will we join my discord channel at https://jerrybanfield.com/contact/ because this is the best place to chat in real time with me and get help with resteems, budget proposals, bot votes, and delegation? Thank you very much for reading this 3,500+ word post where I asked you to do six different things to help me today! I ask a lot and I hope I am giving that much in return!